Having the right kind of lighting in your workplace is much more important than you think. Did you know that the average adult spends at least a third of their time at the workplace every day? When it all adds up, a good portion of the average person’s life is spent at work, so it’s important that the workplace is a healthy environment. According to Lighting Contractor Singapore, having the right kind of lighting in your office can inspire productivity in your employees, passively provide better healthcare, and give an overall better sense of mental health and happiness. On the other hand, having bad lighting can poorly affect the health of your employees. There are a lot of options for ensuring that you have the right kind of lighting in your office. Here are a few tips and suggestions to help make the workplace a happy and healthy place for all. In all cases, natural light is the best kind of lighting to have in your office. There is no real substitute for the health benefits of natural light, which can help employees get a healthy dose of Vitamin D while providing great illumination throughout the room. Plus, exposure to natural light is proven to reduce the effects of depression, while also increasing energy and alertness. What Happens When Natural Light Isn’t Available? If there is no option to have natural light in your workspace, don’t fret. There are a few things you can do to make sure that the workspace is still filled with healthy, production-inspiring lights. When it comes to understanding how to choose the best lights, think cool thoughts. Typically, you’ll want to invest in a blue-enriched type of lighting with a color that measures around 17,000K (Kelvin is the typical unit of measurement for lighting temperatures). These cool types of colors are also known as “daylight colors”, and can mimic natural light. Just light natural daylight, artificial lights come in a variety of temperatures and colors. And colors can have powerful psychological effects on everybody in the workplace. It’s important to understand what kinds of colors to use, as well as what the best temperatures are for the lighting in and around your office space. Low color temperatures - These measure around 3,000K or below. These lights are considered to be the warmest lights, similar to the glow of a fireplace, which is around 2,000K. 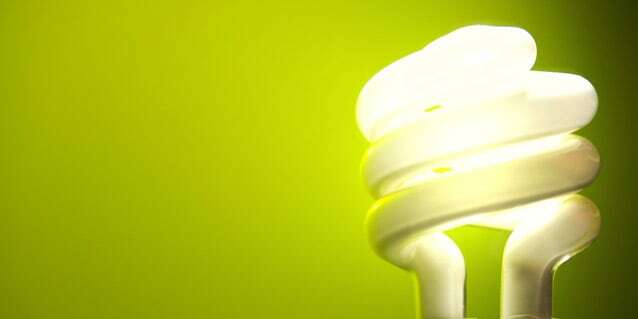 Fluorescent lights measure 3,000K, and emit a bright, warm, white light. By comparison, incandescent lights are 2,500K, and are also very warm and bright. Fluorescent lights are typically frowned down upon in the workplace, especially where employees need to spend a majority of their time. This is because warmer lights can have draining and depressing effects. Mid-range color temperatures - These are known as the cool white lights, and they typically measure between 3,100K and 4,600K. They can be compared to the natural lighting of an early afternoon day, which usually measures around 4,300K. There is a type of cool white fluorescent that falls in this temperature range, and is also not the absolute best choice to use in work situations. High color temperatures - The cool daylight colors measure above 4,600K and are often bright, cool colors. They are the most similar to the natural light of daytime, where the sunshine reaches 5,000K. When it is overcast, the sun reaches 7,000K. By comparison, daylight fluorescents measure 6,300K. A lot of lights that are in this temperature range are ideal for the workplace. Out of the categories listed above, it’s important to get as close to the high color temperature range as possible. The sun is hot and bright, and healthy for the body and mind. Being able to reflect that same kind of lighting in your own workspace is highly advantageous for your employees. You’ll find that a change in lighting can increase their overall productivity, health, and well-being.